Adoption is greater than the universe. That’s the takeaway from reading the first chapter of Paul’s 1st century letter to the church in the city of Ephesus. He writes that God chose his future children long before the world was even created. Adoption was on His mind while he was forming the universe. But ultimately adoption is a beautiful tragedy. It is tragic because the ultimate cause of adoption is sin. It is because of sin that death exists and leaves orphans in its wake. It is because of sin that a child faces neglect or abuse and enters the foster care system. It is because of sin that families are fractured and children must be adopted into a new family. Sin has corrupted the original design for creation and for the family and adoption is the beautiful response that attempts to bring Gospel-driven order to all of the chaos. But what about foster care? How might we view foster care in light of God’s original design? Similarly, adoption in foster care is a beautiful tragedy. It gives a home, permanency, and a new identity to a child with significant disruption in their lives. But adoption is NOT the ultimate goal of foster care. The goal of foster care is to provide a very temporary solution when disruption happens within a family. Sometimes a parent’s poor choices (drug abuse, crime, or neglect, to name a few) create an unsafe situation for a child. Other times an emergency situation leaves a child in a precarious situation (for instance, a child’s sole caretaker is hospitalized and they do not have any support network in place). Whatever the cause, the goal of foster care is to care for a child while doing everything possible to pursue reunification. 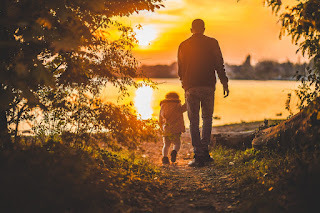 The ideal outcome after a child enters foster care is for the biological parent to find healing, help, and recovery so that they can parent their child. We know that simply can’t happen in every situation, but that is the ultimate goal. And I believe that this is a profound picture of the Gospel, albeit a different one than adoption. In the opening chapters of scripture, we catch a glimpse of an incredible relationship between God and humankind. Adam and Eve walked side-by-side with their maker in the garden before sin entered into the equation. Since then, the effects of sin have separated man from God and we’ve been desperately trying to bridge the divide. Eventually God sent his Son, Jesus, to pay the penalty for our sin and bring us back into a right relationship. In this same sense, children in foster care are estranged from their parents and the hope and goal is that they will be reunited. As a foster parent, I am given the opportunity to play a role in the reconciliation of a child with a parent. It’s an act of restoration, bringing a family back to its God-designed structure and function. The metaphor breaks down quickly, because we recognize that God didn’t do anything wrong. The break in the family relationship was because of OUR rebellion. And even though it was MY fault, God paid the price to rectify that relationship. Nevertheless, foster care is about us playing a role in restoring what has been broken. But because adoption is a possible outcome of foster care, there are many layers of Gospel redemption. We got into foster care to help families reconcile and to walk alongside hurting parents and care for hurting children. But if reconciliation isn’t possible, we welcome the opportunity to adopt a child and give them a new identity in our family!